Peter was appointed by the Civil Aviation Authority (CAA) as its first Director of Aviation Security in May 2013. 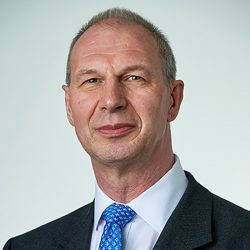 Peter led the transfer of the Aviation Security function (and some 90 posts) from the Department for Transport (DfT) to the CAA, which took place as planned on 1 April 2014. Peter now leads the Aviation Security Directorate within the CAA, as a member of the CAA Executive Committee, developing its regulation and compliance roles within the context of the CAA’s broader aviation regulation responsibilities. 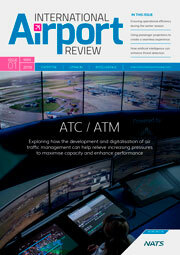 A key aim is to evolve aviation security regulation into a process that is more performance and risk based. Before joining the CAA, Peter spent five years as the Director Security and Business Continuity for the Home Office. Prior to joining the Home Office, Peter served in the Royal Air Force for 32 years and retired as an Air Commodore in April 2007. Peter’s last appointment as Air Officer Force Protection combined the roles of Commandant General of the Royal Air Force Regiment and Air Officer RAF Police (formerly Provost Marshal RAF).